NewPoint is a web-enabled, desktop application built on Microsoft's .NET Framework that uses both local and hosted SQL Server databases. This provides a stable framework for NewPoint users today and in the future. Inventory Manager - Every SKU that you stock is found here, along with corresponding quantity in stock, sales history and pricing among other features. NewPoint works continually to ensure that your inventory is always accurate and in sync with the repricer you choose and the online marketplaces. Inventory received at store locations will automatically be listed online as per your settings. NewPoint also has the added benefit of being able to manage the inventory of multiple store locations simultaneously. In-Store Sales â€“ All sales activity within each store is processed here. There is also a full-featured Customer Database and Special Order module to better serve your in-store customers. Online Sales â€“ the NewPoint software retrieves all online orders from the various marketplaces and distributes them to the appropriate store for fulfillment. Once orders are fulfilled, NewPoint is configured to automatically send tracking emails to both the customer and the marketplace. Reporting â€“ NewPoint software contains multiple report options on both the inventory and sales side. These reports are customizable by date and location. An automated email feature is available for all store locations to provide regular sales updates. 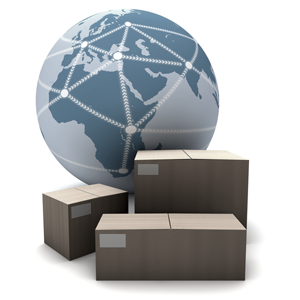 Administration â€“ NewPoint allows you to control all online settings for inventory. The software also utilizes multiple security templates which can be assigned for POS use. NewPoint software is fully integrated with Amazon Web Services, allowing its users access to the extensive Amazon catalog.